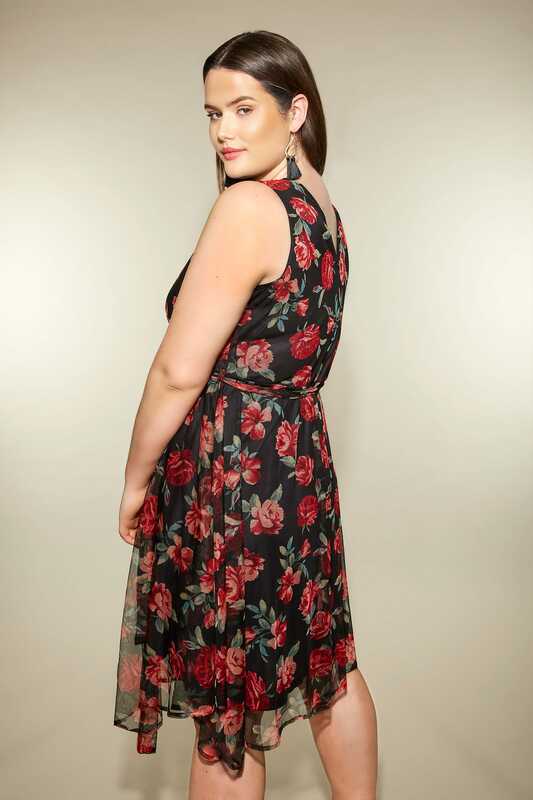 Give your figure a flattering touch with this stylish wrap midi dress. 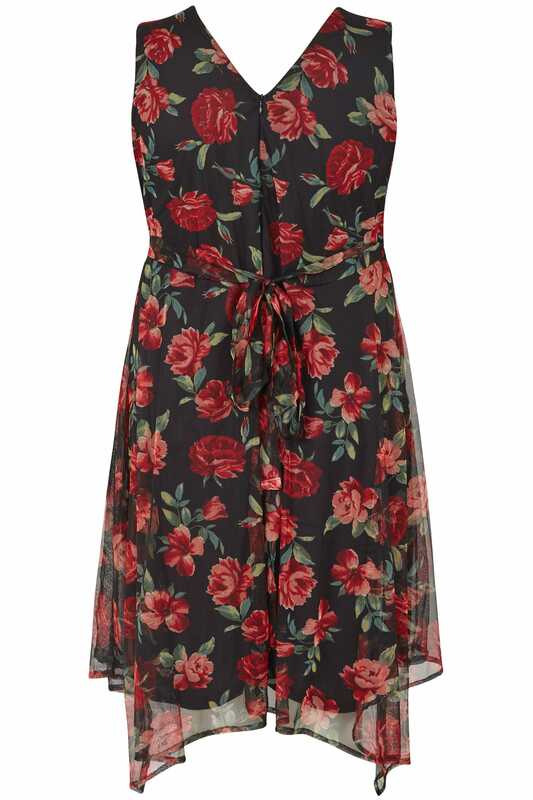 With an all-over red rose print, it features a contemporary hanky hem and is complete with a mesh waist belt. Great for parties and evening dates, team with strappy heels and a lightweight cover-up for an effortless look. 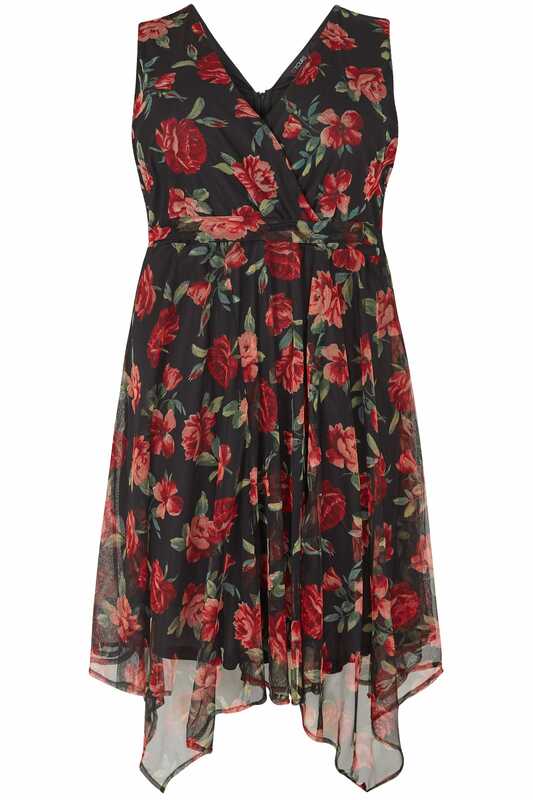 Timeless and elegant, the classic rose print will never go out of style.